The Team Leader received a call from the Keswick team to assist in the search for two walkers who had become benighted on the top of Great End and had requested help using their mobile phone. The Keswick team thought they may need to search along the ridge towards Broad Crag so required a radio relay from the head of the Wasdale valley. This would assist when their group reached Styhead and made their way along the Corridor route which would be out of radio range. The Team Leader and one team member took one of the advance vehicles up to the bottom of Gavel Knees (Great Gable) whilst another team member remained at Gosforth manning the base and telephone at Gosforth. The two missing walkers were eventually found safe and well along the ridge towards Ill Crag, near the top of Calf Cove.The Wasdale group relayed the recall message to the Keswick team members on the Wasdale side and then returned to Mill Forge Base at Gosforth. 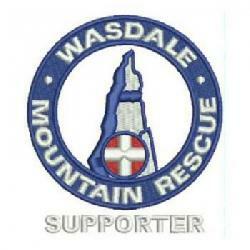 The Wasdale involvement in the incident was completed at 2300 hrs. The two walkers were safely escorted off the fell and down to their transport in the early hours of the morning. Incident started at 21:15 and ended at 23:00 making 1.8 hrs in total.